Endoscopic ultrasound (EUS) is routinely utilized for evaluation of disorders of the lower gastrointestinal tract. In this review, we summarize the current status of rectal EUS in clinical practice and describe recent developments in diagnostic and therapeutic rectal EUS. Recent guidelines recommend rectal EUS for rectal cancer staging as a second line modality in cases where MRI is contraindicated. Forward-viewing echoendoscopes and through the scope EUS miniprobes allow for EUS imaging of lesions through the entire colon and for evaluation beyond stenoses or luminal narrowings. EUS can be used to assess perianal disease and drain pelvic abscess associated with IBD, along with newer applications currently under investigation. For rectal varices, EUS can confirm the diagnosis, assess the optimal site for banding, guide therapy placement with sclerotherapy and/or coils, and assess response to treatment by confirming absence of flow. Therapeutic rectal EUS is emerging as a promising modality for drainage of pelvic fluid collection drainage and fiducial placement for rectal or prostatic cancer. Drug delivery mechanisms and substances that may increase the scope of therapy with rectal EUS are in varying stages of development. 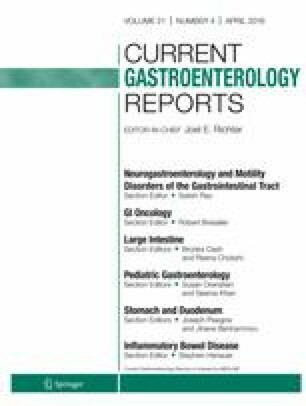 Rectal EUS continues to be an important modality for evaluation of benign and malignant disorders of the lower gastrointestinal tract, although its use as a cancer staging modality has declined due to improvements in MRI technology. Various technologies to enhance ultrasound imaging and for therapeutics have been developed that have or may contribute to expanded indications for rectal EUS. Stephen Hasak is funded through NIH/NIDDK (T32 DK 052574). Stephen Hasak and Vladimir Kushnir declare no conflict of interest.